Did you know that only four out of every 100 SMEs make it through the first 10 years of business? That figure might seem unbelievably low, but when you think of all the things that a new business has to contend with, it’s hardly surprising. If you’ve got the skills you can quite easily get started on your own, on a laptop, in your bedroom, building websites, making plans, thinking you’ve got it all sorted. That’s is exactly what I did. The problem is – stating the obvious here – everything costs money. Sure, you can buy a domain name for £1.99 a year (if you don’t mind an obscure extension: .world may be available, but ask the man or woman on the street and most of them will still be looking for .com and .co.uk). And sure, you might have the ability to build a killer website on your own (I thought that, but how are your copywriting skills?). But that’s just the start. What about creating your product, if you have one? What about copyright? What about marketing? You even have to think about financing your finances – tax returns aren’t always that easy, if you don’t know what you’re doing. So, my point is, unless you’re planning to find backing on Dragon’s Den, or land yourself a £250,000 investment from Lord Sugar, money is going to be your biggest stumbling block on the road to success. Well, that and motivation. Motivation, you either have that or you don’t – but, when it comes to money, there are a few things that you can do. Start out simple. I mentioned accountants just now, and you probably will need one at some stage to guide you through your first tax return, but you don’t need an accountant or an expensive advisory service to establish your business. To officially launch your business you need to register with Companies House, and you can do that yourself. Don’t be duped into paying unnecessary middlemen. Manage your cashflow. It sounds obvious, but when you’re caught up in the excitement of product launches and new customers, it’s easy to forget about cashflow. The best way to avoid nasty monetary surprises is to review your cashflow every day. Tedious? Maybe. But it could be the thing that keeps you afloat. Keep bookkeeping costs down. If you have a small amount of know-how, there’s not much that you can’t do with a good old-fashioned spreadsheet. If you need a bit more guidance, then online packages, such as QuickBooks and Xero are a cost-effective and easy-to-use alternative. Get online. If you’re not au fait with the world of the web, you can quickly, easily and cheaply find a domain name for your business with 123 Reg, or have your hand held through the site creation process with the likes of Weebly, which provides endless templates to guide you through. Use freelancers. With the best will in the world, you can’t do everything on your own, but hiring staff can be expensive. Until you absolutely have to have full-time help, using freelancers can be a fantastic alternative. They don’t bring the overheads of a traditional employee – no holidays, no sick pay, no pension contributions, no facilities – but they do bring almost every skill that your business could require, and only for the time that you need them. Sites such as Freelancer, PeoplePerHour and UpWork can deliver the talent you need, when you need it. Use social media. Marketing will probably be one of the biggest drains on your finances throughout the life of your business. And if you want to succeed, there’s really no avoiding it. However, you can supplement it through clever use of social media. Engaging with your customers will keep them loyal. Creating content that people want to share will get your name seen by potential customers you’d otherwise miss. And paid for marketing on social media allows you to precisely target your particular demographic far more accurately than almost any other form. It’s a priceless tool, and one you’d be foolish not to use. Measure your performance. You can keep throwing what money you have at your business, but unless you know what’s working you could just be throwing that money away. Measuring your performance against specific objectives provides you with an overview of what’s working and what’s not. This allows you to plan and progress, rather than find yourself constantly putting out fires. Your contacts could become your saviours, Network your contacts. By networking you are meeting people who could potentially help you, mentor you, or employ your services. You are building your profile and getting seen. All of these things will add to your success. But, most importantly, you are exposing yourself to potential investors. Customer first. And finally, in all the excitement of starting up and moving forward, never forget to keep a weather eye on your customers. Without your customers, your business will fail. End of. If you listen to what your customers want, learn from what they’re telling you, and work to deliver the best possible service at all times, then you will foster loyalty and encourage word-of-mouth marketing. This, more than anything else, will ensure that your revenue stream continues to flow and grow. Starting a new business is hard work. But, it’s also really exciting. And if you do what you can to keep control of your cash, then there’s no reason why that excitement shouldn’t continue into the first 10 years and well beyond. 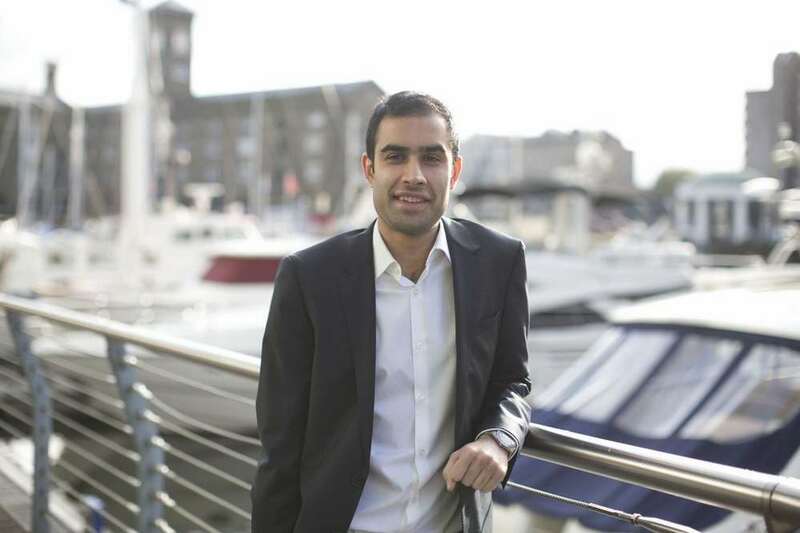 Deepak Tailor is founder of LatestFreeStuff, the UK’s largest freebie website. The online platform provides freebies, competitions and deals from the leading brands all in one place. Deepak is also author of the bestselling book ‘ How To Live For Free.’ which achieved bestseller on Amazon within 4 days of release.